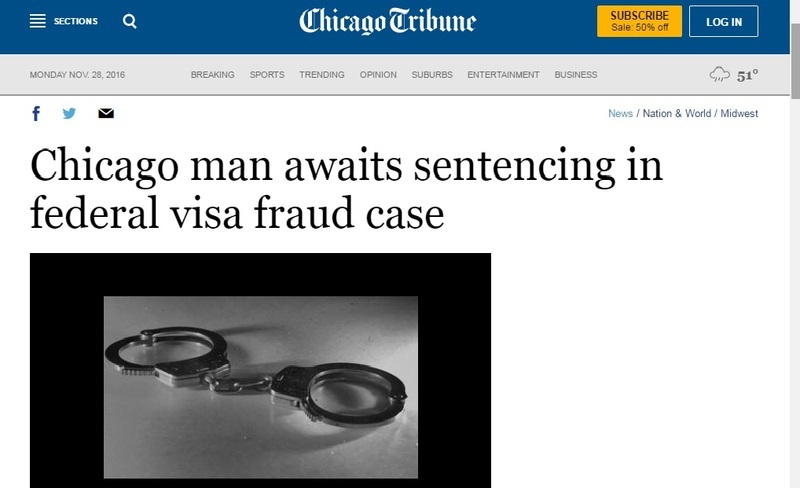 A man who's pleaded guilty to wire fraud awaits sentencing in what authorities describe as a scheme to defraud foreign investors into backing a convention complex by O'Hare International Airport. Anshoo Sethi of Chicago could be sentenced this week. Federal authorities allege fraudulent documents were used to raise millions from mostly Chinese investors who believed they'd get U.S. residency in return. The case involves the EB-5 visa program, which allows foreign investors green cards. Sethi's attorney tells The Chicago Sun-Times Sethi was misled by consultants and he's refunded $145 million.